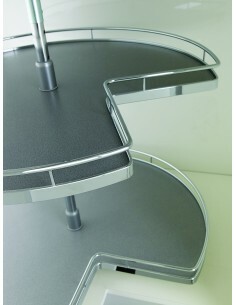 3/4 Or or full carousels are designed for L shape or diagonal corner base units. 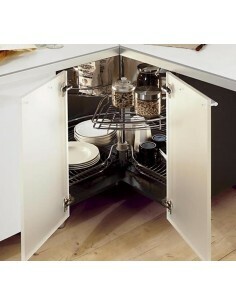 Normally the L shape base options have a bi-folding or two door application. 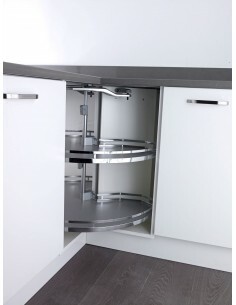 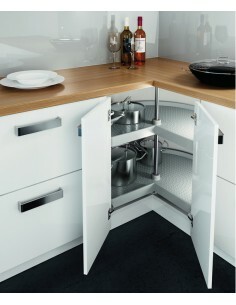 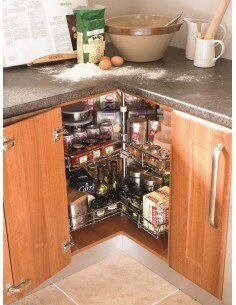 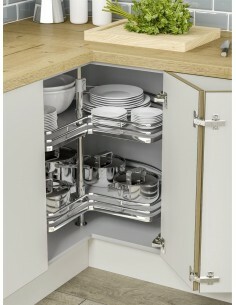 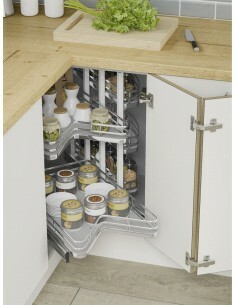 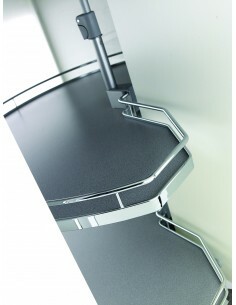 An excellent option to maximise storage whilst using all available space. 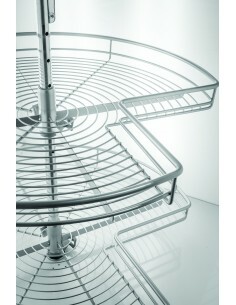 Chrome wire baskets, solid base carousels or glass sided versions are all available. 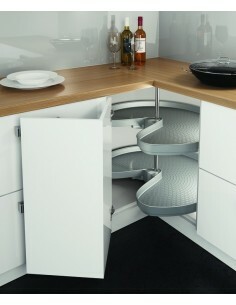 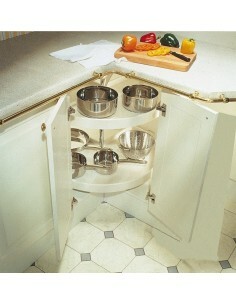 Max those hard to reach corner spaces with this 3/4 kitchen circle carousel. 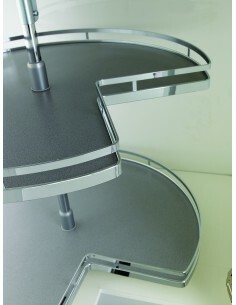 Zinc-plated steel. 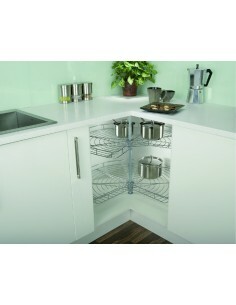 Suits 800 x 800mm, Double White Solid Base Shelving.